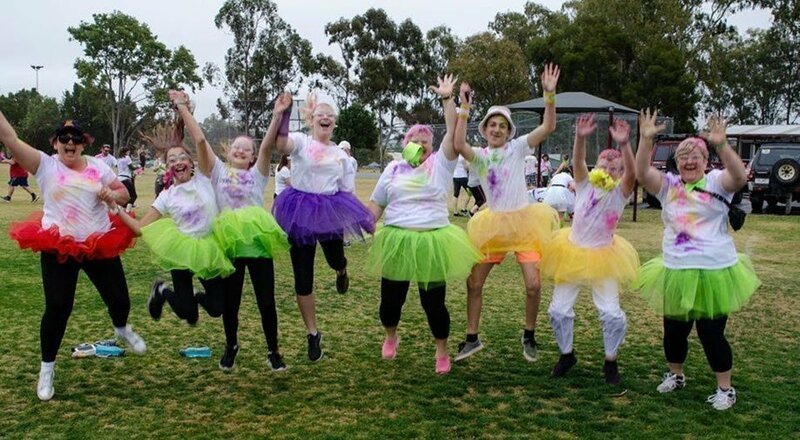 North Lakes Colour Frenzy is coming!, a colourful day for everyone! On Sunday 14th of April 2019, we will be holding the Fun Walk / Run. Wave 1 Starting at 8:30am. Wave 2 if required starting at 10am. Race pack (Wrist Bands, Safety Glasses, Personal Calk bag) collections available from 7:30am to 8:30am for the fun run as well as the Saturday before the event. Each wave the participants will start together at the starting time and the fun run will be complete once you have finished your personal distance of up to 5km. Held at Lake Eden North Lakes Qld we will have a 1.7km track marked out for everyone to follow with multiple colourful zones along the way. You can do 1.7km, 3.4km, or 5km, its your choice! You can Walk, Jog, Run or a mix of it all. It’s completely self-paced and untimed. - All participants must have a valid ticket to access the event. - Children under 5 will be admitted free of charge with a ticket holding guardian. The event organisers do not recommend that young children be left unattended this event. Children under 5 attending the event do not need a racepack and will not receive a wristband. - Carers accompanying a disabled or restricted mobility person will be admitted free in the company of the ticket holding person they are caring for. This is valid for one carer per person. - Every person (5yr and older) entering the event will receive a race pack, if your wrist band is not shown for any reason you will be asked to show your band or be removed from the event. What do we have to do when we arrive? Just head to the registration tent and collect your race pack (if you have not collected before race day). Put your wrist band on and enjoy the pre event entertainment. What if we have already collected race pack? You won’t need to worry about going to the registration tent, just display your wrist band and enjoy the pre event entertainment. What is included in the Race Packs? 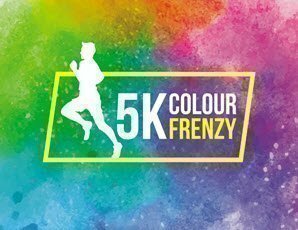 Your race pack will include your wrist band, safety glasses and if you have ordered your ticket online it will also include your personal colour powder pouch to get the day started. Are shirts included in the Race Packs? No shirts are not included in your ticket price or race pack. Kmart is a great place to grab a white shirt before the event. Remember that the fluro colours are designed to wash out but we have found the darker colours like purple mixed with sweat can tend to stay in the clothing more. What items can’t be brought into this event. - Alcohol, this is an alcohol free event. - Glass - this includes glasses, bottles, jars, or any other containers or items made of glass. What can be brought to this event? - non-alcoholic drinks - this includes juice, soft drinks, sports drinks. Also a large variety of non-alcoholic beverages are available for purchase. - Dogs, this is at the owner’s risk. Must be on harness. Is there an ATM and EFTPOS at the event? No. If you wish to purchase entry tickets on the day, please arrange cash beforehand (unless tickets are sold out prior). There will be trained First Aid personnel on site, see the main tent. In the event of scattered showers or rain on the day we will still go ahead with the event. It is even more fun in the rain! You can wet and covered in fluro colour and, well, how many times do you get a reason to run in the rain and get wet? In the event of Thunder/ Lighting Storm at the time of the event the walk will be will be rescheduled for a further date to be announced at the time of event. In case of rescheduling and ticket holder cannot attend new day and time the ticket holders may transfer their ticket to another person or transfer to a future event date, no refunds are given. If needed the decision to postpone the event will be made on event day. In the event of inclement weather patrons should check the Facebook event BEFORE departing for the event for messages regarding traffic, parking or wet weather arrangements. Lost property will be kept at the main tent throughout the event and will be held by the Colour Frenzy team for three days post event. Can lost tickets be replaced? Yes, you can reprint your tickets from email or contact Ticketebo for further information. Can tickets be shown on smartphones? Yes, you do not need to print your ticket you can show your barcode on your smart phone when collecting race pack. Is this a not-for-profit event? No even though we are a for-profit company we always bring along local foundations to help out and make donations to from the profits. Giving back to the community is a big part of this for us. No, there will be no full or partial refunds on purchased tickets. If you are unable to attend the event or if the event is rescheduled tickets are transferable. Ask friends or family if they wish to take your spot. Purchasing a ticket indicates you agree to terms and conditions of event.